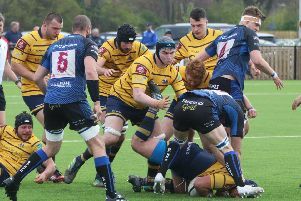 Worthing Raiders made their fifth signing of the summer with lock Elliott Worrall agreeing on a switch to Roundstone Lane this morning. The 26-year-old, who spent last season at Portsmouth, was brought to the coaches attention by skipper Liam Perkins. Both Perkins and Worrall played for Hampshire last season, with the latter helping them to the County Championship Shield crown back in 2016. Raiders assistant coach Ben Coulson was pleased to complete another summer signing. He said: "When Liam (Perkins) suggested we check Elliott (Worrall) out you trust the instincts of your players, so we went along to a couple of games and were impressed by what we saw. "Elliott brings both physicality and size to the pack, which is something we've been looking to add to our squad going into the new season. We're looking forward to seeing him run out at Roundstone Lane."